Reusing product photos in distinct ways is not just a cost-effective strategy for businesses, but a wonderful branding tool too. You can create a visual synergy across your selling channels by using professionally captured product images. Read on if you are in need of some ideas on ways to repurpose product photos to maximize the investment. Background removal service providers have alluded to the notion of altering backdrops in many instances, but there are several ways it can add more shelf left to product images. As significant as the white backdrop is for photographs on product catalog pages, it is also equally important to show the products in context. Click your products against a white backdrop, and then have it replaced with the help of experienced photo editing professionals. 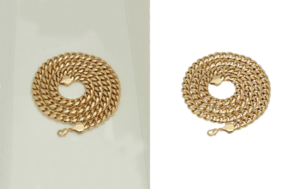 You can approach a clipping path service company and tell them to use solid and bold colors in place of the white background. Besides, consider having a shadow effect added to your product images. Experts can simply make tweaks in an editing software and bring a wall and floor effect in the backdrop of your product. Many e-commerce sites and online retailers have products available in several color variants. However, at the time of photography, you might not have all of your products available, or your budget or time might restrict the number of color variants you could capture. In such cases, have color variants edited to your actual product images to create them of each color variant. 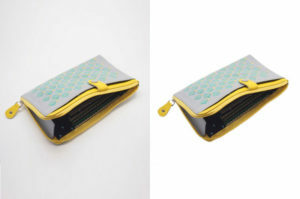 Consider sending off your product images to a clipping path service company that offers such kinds of editing services. Have print variations or solid colors added to products as you introduce new product styles, and then reuse those images for your marketing and advertising purposes to promote the new product line. Even though much of the marketing activities of a retailer with online presence happen over the internet, some companies use both traditional and print marketing methods too. Direct mail, billboards, and print advertisements are just a few examples of that. You can use product images already captured for your site in these materials. Just have your images converted to vector drawings to make eye-popping and fun print ads – vectors will not lose the quality of the picture, no matter how small or big they are. For that, you can approach vector conversion services.